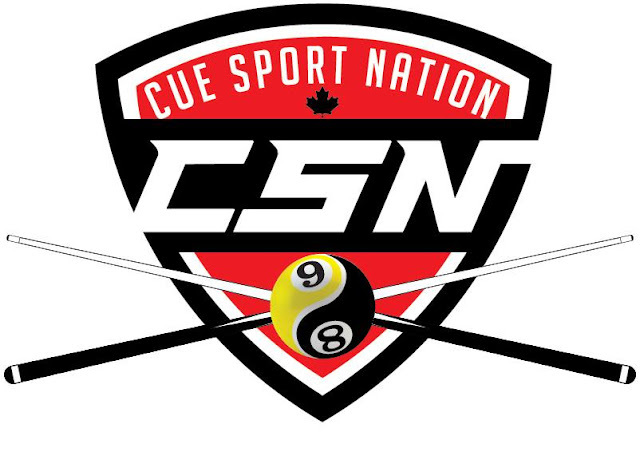 On February 13 and 14, Shooters Snooker Club in Toronto hosted Event #6 of its 404 9-Ball Tour. The 404 Tour is host to many players and is open to all skill levels, including amateurs, semi-pros, and pros. This time out, the general consensus among the players was that the field was extremely tough. This Valentine’s weekend tournament had 51 players registered, including strong players like John Morra, Erik Hjorleifson, Mario Morra, Alan Logan, Andy Aupin, and Jeremy Bolahood competing for a prize pool of $2,600 and a $1,920 Calcutta. This one came down to the very wire between the pros Erik Hjorleifson and John Morra. In a very exciting finals that came down to a double-hill game, John Morra came out on top 10-8. Congratulations John Morra on his first win in the 404 tour as an SL 13, and to all of our finalists. Shooters would like to thank everyone for making this a successful, competitive, and action-filled tournament. After a few matches on day 2 Mike Leigh and John Morra would do battle in the hot-seat match. On the B-Side, Erik Hjorleifson and Rob Hall would remain in the B-Side semifinals. Erik H outshot Rob H, winning 11-4. Erik’s next opponent would be the loser of the hot-seat match. In that match, John M would remain undefeated, beating Mike L 13-3. Erik H cruised past Mike L in the B-Side finals 12-2 and would finally return to the A-Side after winning 8 consecutive matches since being sent to the B-Side early on in the tournament. 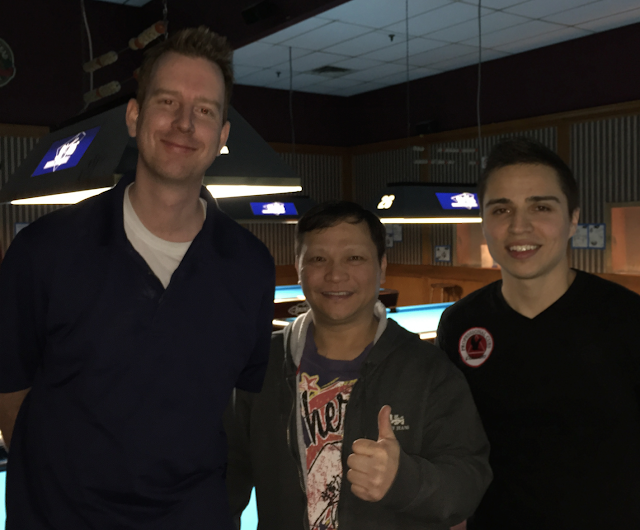 The finals of this 404 event would come down to two professionals who have faced off many times, Erik Hjorleifson and John Morra. In a shortened race where Erik would have to get to 9 before John gets to 10, all eyes were on the two pros. In one of the most exciting finals in Shooters’ 404 series thus far, John Morra came out on top in the final game of this hill-hill finals, beating Erik H 10-8. Congratulations to John Morra on his first win in the 404 Tour as an SL 13, Erik Hjorleifson on a hard-earned second place, and to all of our finalists. Shooters would like to thank all the players that came out, and also those who came to watch both days of the tournament.